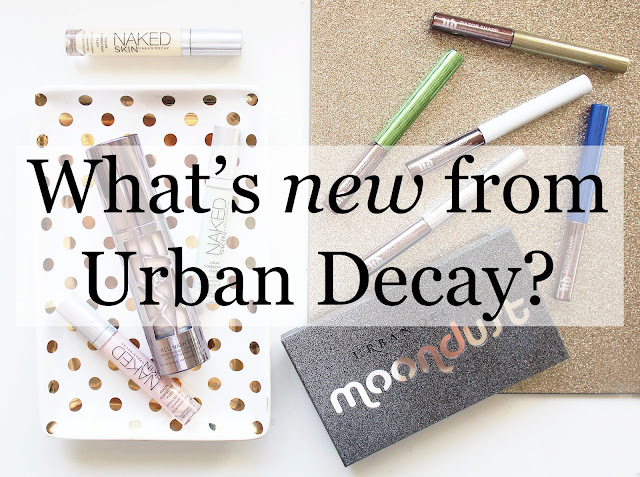 I remember first seeing the new Urban Decay colour correcting fluids over on Sephora quite some time ago, and I desperately wanted them - but they didn't ship to the UK! I was regularly checking Urban Decays UK website after that, to see if they'd launched over here yet. Around 6 months later, here they are, along with a bunch of other new launches, including an eyeshadow palette, foundation and liquid liners. First things first: the highly anticipated (for me, anyway!) colour correctors. 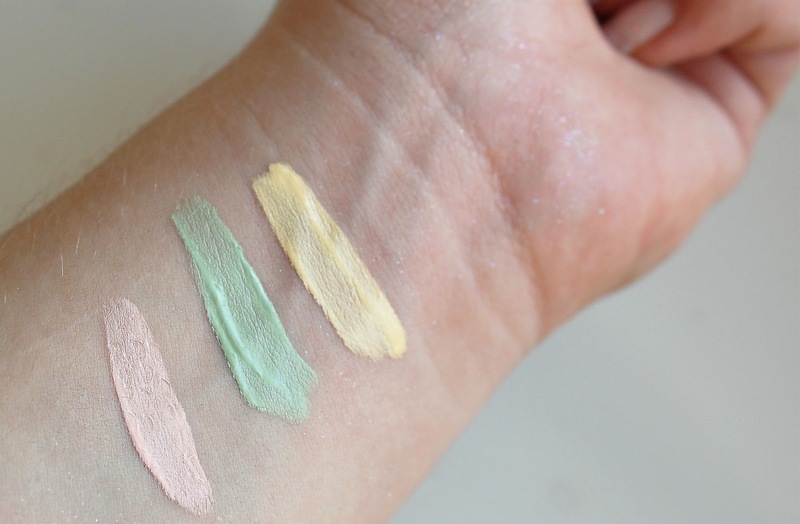 I've tried and tested a heck of a lot of CCs by now - from NYX to Dior (see posts here and here respectively) - so I definitely feel I know what I personally am looking for in a colour corrector. What I like most about this product is that it's thick like a normal concealer rather than sheer, but it's not heavy at all. The consistency is exactly like their Urban Decay naked skin concealer, so if you have that you know what I mean. However, I have to admit the actual colour balancing effect of the product, once blended, isn't as dramatic as other correctors I've used. They still definitely do the job for my skin, though colour wise, my skin isn't too problematic. If you have a lot of redness, dullness or dark spots you really want to get rid of, I'd suggest perhaps using a more effective corrector, such as the Dior or Smashbox correctors. Please don't get me wrong, these do work, but the result isn't drastically significant compared to similar products. I am loving the All Nighter Foundation so much! A little bit goes quite a long way, but it's uber full coverage, I do noticeably less concealing when I'm wearing this! The liquid itself is quite thick, but it honestly doesn't feel heavy at all. It's not oily, but the finish isn't completely matte and drying. It's a beautiful satin-like finish. Because it's a little on the thicker side, it doesn't blend as easily as I'd like. That's not to say it's difficult to blend, rather that it blends more like a cream than a liquid, which obviously isn't the kind of performance I'd expect from a liquid. As for whether it's truly an "all nighter" foundation? It definitely out performs all my other 'long wearing' foundations by far. It does not budge, but it doesn't ever start feel cakey. It looks as pristine by the end of the day as it does at the start, very impressive! I'd definitely highly, highly recommend this foundation! It's pretty great all round: it feels beautiful to wear, has a really nice finish, and it lasts - as the name would suggest - all night. 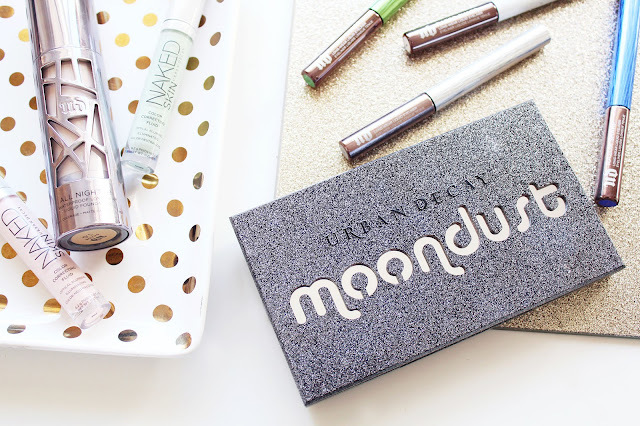 I've also fallen head over heels in love with the new Moondust Palette, which my boyfriend bought me for my birthday (I wrote a full post on what I got for my birthday - see here!). 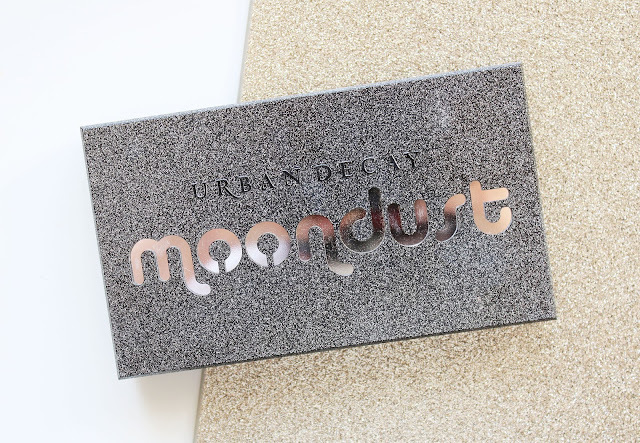 I've been a fan of Urban Decays moon dust eyeshadows for so long, I'm so happy they're finally in a palette! 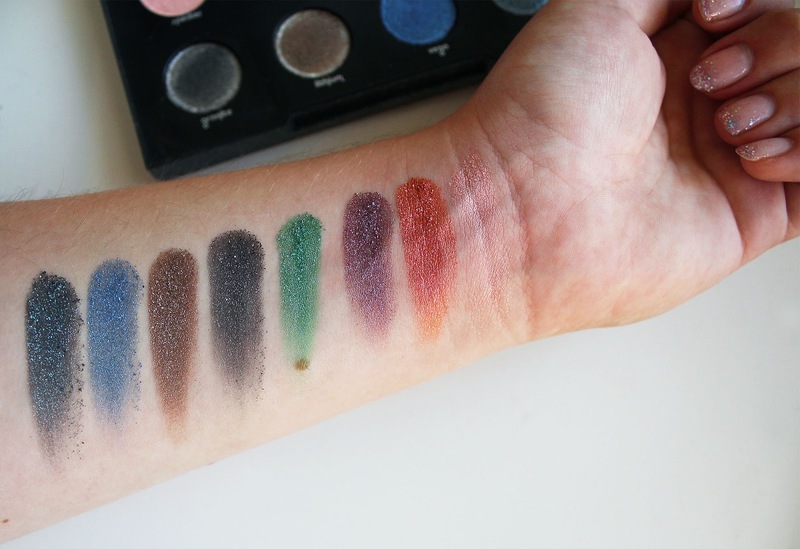 They're super pigmented, super glittery, and the colours are so beautiful - what's not to love? They apply very easily, and blend out very well. 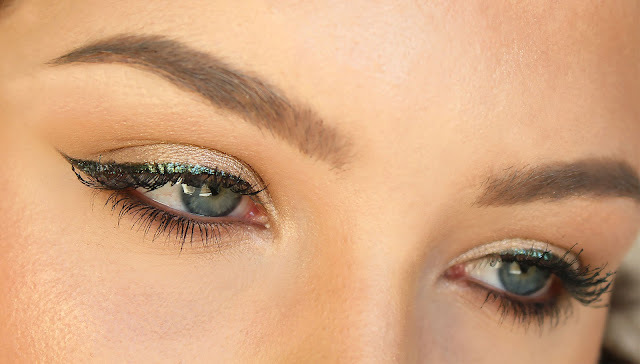 Even though they have a high shine glittery finish, they're not chunky or overly pigmented to the point of a excess bunching up and/or falling all over your face. I also really love the packaging! 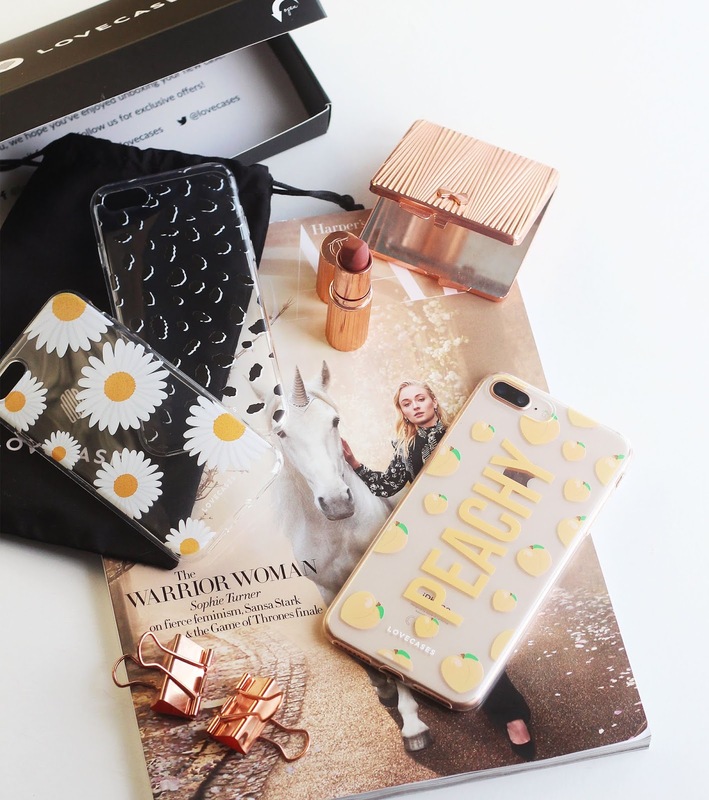 I love the chic black glitter case, and the big mirror inside is so helpful. 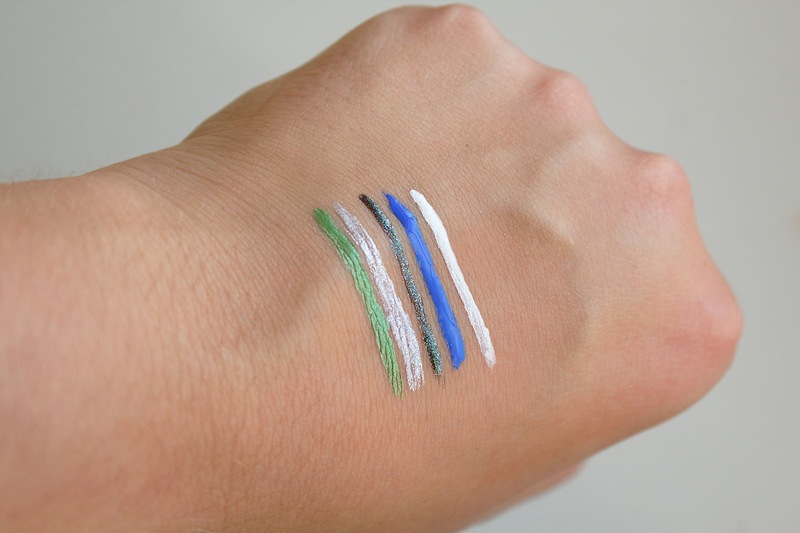 Finally, the star of the show: the new Razor Sharp Liquid Liners. I have been really into colour and glitter recently, and I am loving doing a winged liner - or a double wing (1 black, 1 coloured) - with these recently! The consistency of the product is a little more liquid-y than I personally would like, so initially it looks sheer. But it's really easy to build up to get a metallic and intensely glittery line. The applicator is a very fine tip so it's easy to be precise with these. They literally last all day, but they're a little odd the way they come off. They don't rub off like ordinary liquid liner, they seem to go tacky and you can literally peel them off. I am also loving the colourful metallic packaging of these, they look really cool. Above, I did my wing using Zodiac. It'a almost like a duo chrome; in some lights it looked like a metallic black, but in others you could see the punchy emerald green. So what do you think? Are you lusting after anything new from Urban Decay? The eyeshadow pallete and eyeliners looks amazing! I love the last picture, that whole simple eyelook with green liner is just gorgeous!! The Moondust palette looks amazing and I really want to try their cc concealers.